It is no secret that I do a great deal of fishing. I love being on the water and I have since I was a young kid. That love of water feeds me when the fishing is slow and tonight while the temps hovered around 3*C it was slow and cold. Despite the unseasonably cold temps I spent 3 hours tonight wading along the shore of one of my favorite creeks. 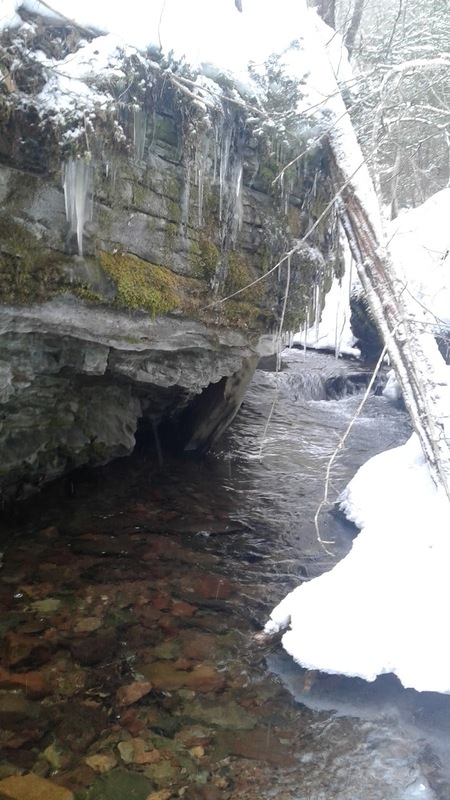 I watched for patterns in the currents and noted the depths and color changes as the water flowed over deep gravel and bedrock substrates. Every now and then you find an oasis and it speaks to you from a spiritual place. I found such a place during this cold outing. Tall ferns, big trees, wildlife, and spiritual presence was inspiring. I sat with no line in the water for more than 25 minutes and simply watched, listened, and smelled the awesome wilderness around me. The spring peepers sang a harmony with the Canadian geese. The wind blew gently through the poplar and ash which provided a calming white noise to the scene. The mud from the nearby pond and the waving ferns provided a familiar and oddly comforting aroma. 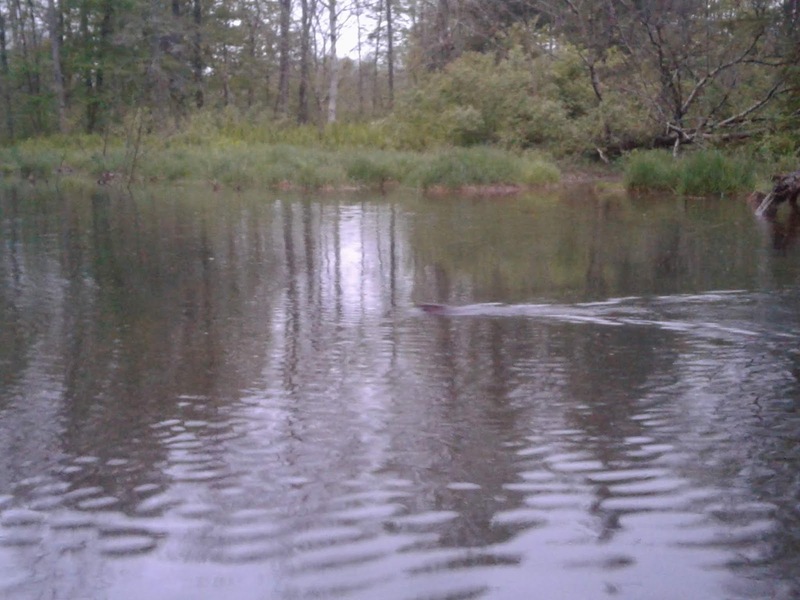 The family of beavers swimming in the pond provided excitement and company. I talked to them and it appeared they quickly realized I was not a threat. This idea put a smile on my face and I felt at harmony with nature. It was a rewarding moment that I will cherish until the next time I find that natural space. Over the past little while I have had to take a step back and reconsider how I approach my writing and my outdoor activities. I love to wander those ridges and valleys and I love to share my experiences with others. I have found however that as I share my stories and my locations those natural spaces become targets. This puts me in conflict. In a relatively short period that natural space goes from being a wilderness area to being a quickly degrading ecosystem and I'm left feeling guilty and used. 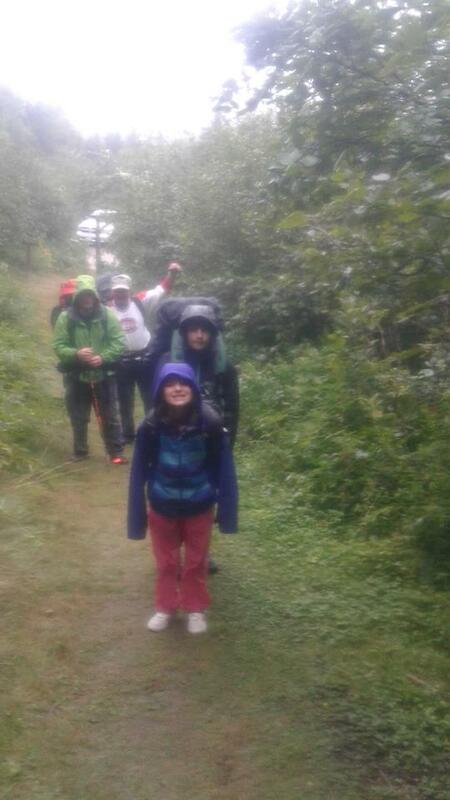 A rainy day hike into Foster Brook proved that my kids can push their limits. With that being said, my goal, when I started my blog, is to encourage folks of all abilities to get out doors and explore and wander the natural areas around them. My goal was not to promote destinations but rather exploration. In the past I have shared maps and directions to some of my hiking and adventure locations and moving forward that will no longer be the case. I will still include photos and I will still strive to transport your mind to that peaceful, rugged, remote, wilderness area that I love to wander. I want people to explore and find "their space", their wilderness, and (sorry for the selfish approach) leave mine be. I realize that some of my readers will be a bit put out by this and to you I apologize. I hope that you will continue to visit my blog from time to time and I will strive to venture into other entertaining aspects beyond giving you the locations. 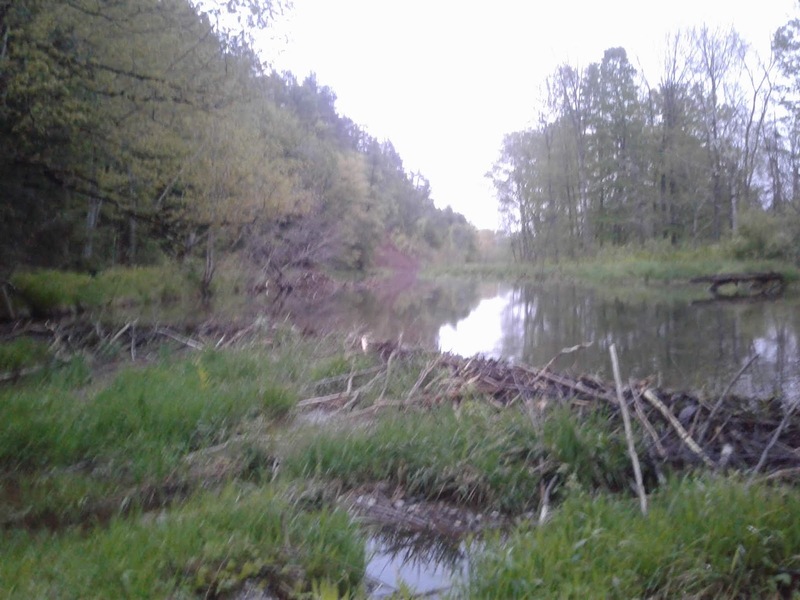 I am going to now strive to educate on better use of our wilderness areas, flood plains, and fisheries through my posts. I'll strive to provide links to other cool angling resources, hiking tech gadgets, and such. I will continue to write about family oriented adventures and these I may share more details on as they are not so "wilderness" oriented. My blog has been quiet and I will endeavor to reinvigorate it over the next little bit as I have missed this creative outlet. I have been sharing old posts on some social outlets but it has been a number of months since I have posted any new material. Check back soon as I have some adventures to write about coming up. One my favorite movies in recent times is "We Bought a Zoo" and I found myself watching it recently. The scenes where just days before the zoo is to open it starts to rain hard and it is expected to last for days. All the zoo's hard work to make opening day could be washed away and you hope the rain lets up for them as you don't want to see the plan thwarted. I then quickly thought about how the best laid plans can often be thrown quickly out the window when the weather doesn't cooperate. I recently had this experience. When a dry summer gets a much needed rain fall you hate to complain and you do your best to grin and make the best of it, especially when you planned a good overnight hike. When the rain persists for hours and you're soaked to the bone, it becomes extremely hard to grin. When your pre-teen kids have hiked 4.5km into the campsite but are now miserable and angry at you for making them come along it is extremely difficult to make the best of it. Sometimes the best way to make the best of a bad situation is to simply remove yourself from the situation. Following a quick conversation with my father, and brother, who also followed me through the rainstorm, we decided that our best option was to hike 4.5km back to the truck and hit up Harbourview Restaurant for some mussels. 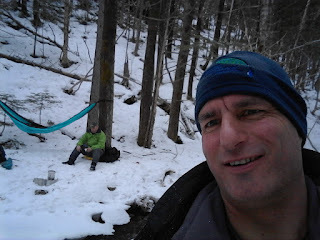 So we tightened up our straps, pulled down our hats, and headed back to the Foster Brook trailhead. While I was feeling heavily defeated, I could easily see my kids were much happier this way, so I took solace in that. 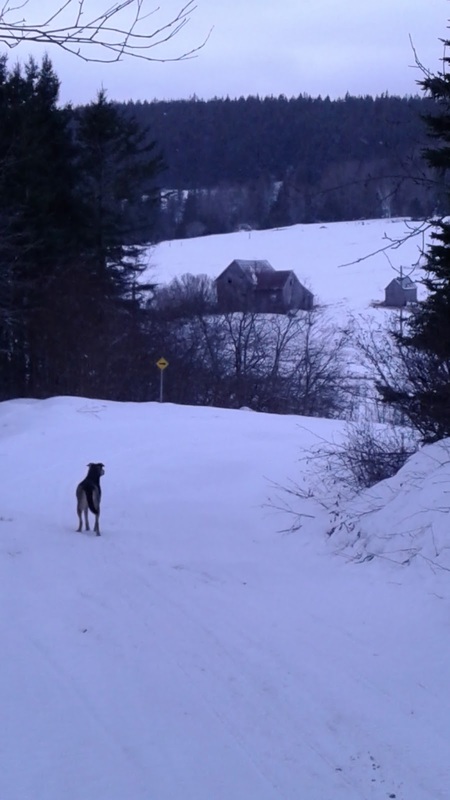 Starting out on the trail into Foster Brook. The well laid out plan of hiking into the Foster Brook back country campsite in Fundy National Park seemed easy enough. 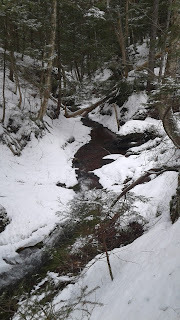 The trail is a moderate 4.5km hike and I was confident my kids could easily tackle it. We would spend time at the campsite and explore the Point Wolfe River and even swim in some of the deep pools. We would enjoy an evening hot chocolate and look up at the stars, and everything would be awesome....but not if it rained hard the whole time we were there. 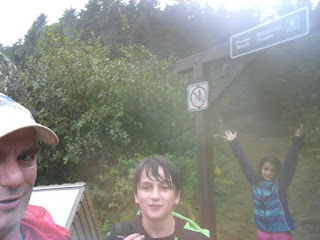 As we left home and headed to Fundy National Park the weather forecast was calling for 60% chance of showers. 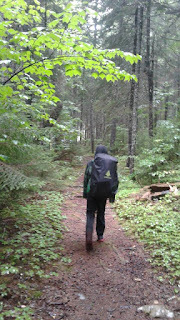 I was doing my best to be optimistic, even when the rain started to fall as we turned onto the Fundy Park Road. "Oh it won't rain long" I told myself. When we reached headquarters in the Park we registered and paid our fees as the rain seemed to intensify somewhat. Our crew stayed optimisitic though saying "It's gonna let up when we get to the trail head." When the guys returned with the wood the rain was letting up. 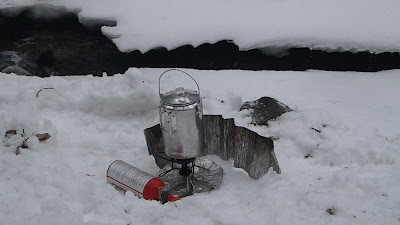 We made the choice, maybe to quickly looking back on it, to pack up, chug our tea and hot chocolate and hit the trail. At the trail head the kids were reluctant to get out of the car as they knew what lay ahead. We donned our packs and headed down the trail with my daughter leading the way as she sang a song. As we climbed the first hill the rain started to fall harder again and the kids moods started to deteriorate like the weather. Seth making his way up the trail. 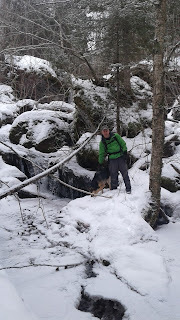 We started the steep descent into the Point Wolfe River with the ground at our feet slippery and wet. Every step had to be calculated and unfortunately for my son, he took a mis-step and fell hard with his pack landing on top of him. He no longer wanted to push himself and no longer wanted to be there and honestly I couldn't blame him. He did push further though and trudge through two small stream crossings before finally making the campsite. 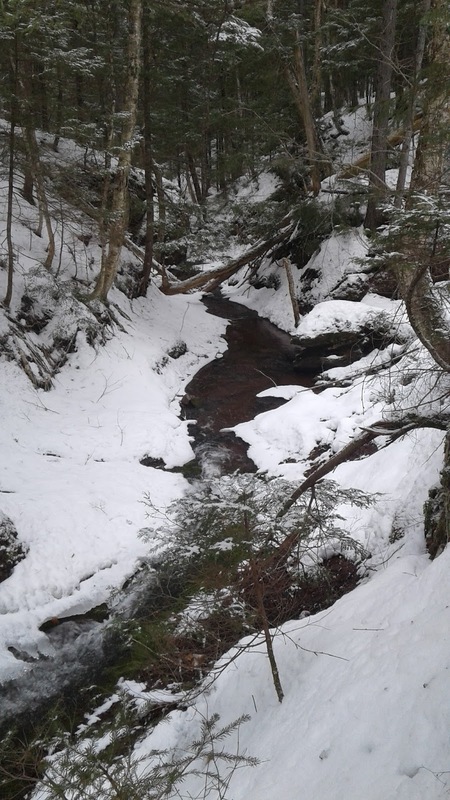 Under better conditions the Foster Brook backcountry campsites are ideal for tenting. 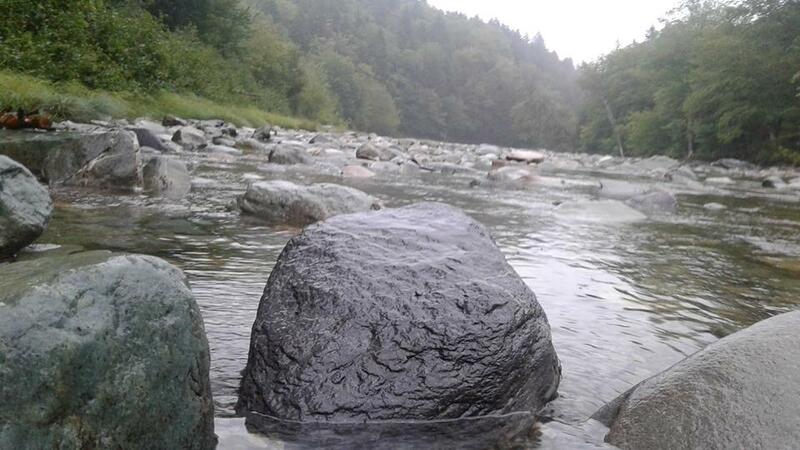 The river in the foreground with beautiful forested hillsides as your backdrop. Today though, for all of us, it felt like a cold, wet, wool sweater, with moths flying around your head. We rigged up a tarp and started making a plan as to how to set up camp but then the rain started pouring down hard again. My daughter was doing her best to keep positive by trying to look forward to crawling into a tent, while my son was longing for his own bed and his computer games while feeling some resentment towards me for bringing him along. My Dad and brother understood the position I was in and truly helped me through the next 10 minutes of making the decision. Despite Foster Brook being a great place, I know because I have camped there before, the rain beat our spirits. Even if it had of let up in those 10 minutes, the evening camp out would not have been enjoyable, so my decision to remove us from the bad situation was made. The seafood chowder and steamed mussels in Alma made the choice a good one. Foster Brook with boulders shining in the rain. At home that night I pitched my tent in the living room and my daughter and I watched a short movie before I tucked her in. My son quickly retreated to his room and fell asleep, very happy to be in his own bed, but before he dosed off, he said "Dad, I want to go back to Foster Brook when the weather is nice." I was ecstatic to hear that as it meant I hadn't killed his love for camping completely. What a retreat! The kids and I made it back out to the trailhead able to force smiles. The weather has been damp, unseasonally cold, and uninspiring for about the last week. Regardless. I was itching to do some wandering and when a good buddy of mine suggested we take a hike on a Monday I was all game. Usually I spend more time fishing with Robin but he is relatively new to the Fundy Footpath hiking trail and he wanted to explore one of the access routes. I needed no reason to join him since I had some time built up at work. So away we went. We met at Adair's Wilderness Lodge around 9:30, I had to check into my office and take some rain gauge measurements before the fun started. 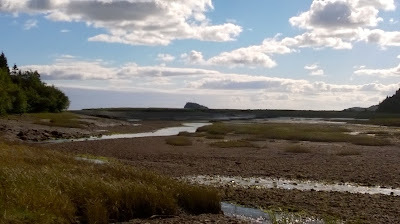 From Adair's we headed ESE towards Goose River and the boundary of Fundy National Park. After approximately 40 minutes of driving over gravel roads of various condition we arrived at the White Car Trail or Goose River Access trail. With gray skies we got out and started quickly down the trail with no certain plan but a desire to explore. A short hike in a southerly direction brought us to the junction of the access trail and the FFP. At the junction there was a wildnerness campsite with a steep stream. The deep green mosses glowing with the moisture of the recent rains and this would be a common theme through the day. The next leg was approximately 1.5km along the Fundy Coast where we were blessed with a chance to look out over the Bay towards Martin Head and from there we headed inland towards the Goose River trail crossing. We sat and admired the boulders and trilliums while we ate a quick snack and discussed what to do next. We looked over our GPS and decided that we could make possibly make a loop trip by hiking up Goose River and then heading up a small tributary that would almost get us back to the White Car Road. With some hesitation about weather and uncertainty about what we might get into, we traipsed off up the river. It was a fantastic choice as the Goose River is full of cascades and chutes. There were a number of prime river side camping spots right next to deep, clear, pools. This will be a place I remember to come back to for sure. As we approached the triburary we were looking for the terrain got steeper but now our adrenaline and excitement were driving us on to see what lay ahead. We climbed into the steep ravine and started clambering over bedrock shelves and large boulders. Next to us large yellow birch and spruce trees stood and with the mist falling lightly I felt like I was truly in a rain forest. The Fundy ecosystem always impresses. As we come to a fork in the stream the area opens up a bit and I feel a sense of peace. I recognize the feeling immediately and have felt it in a number of special places. This is a spiritual place where God put his hand on my shoulder and says "See this, I made this for you, appreciate it, respect it." Despite how steep and difficult the hiking was here, despite having wet feet, despite the rain that was starting to fall, we both climbed the hills with broad smiles on our faces and leaned into the challenge of the hike knowing we were blessed to simply be able to. While it was not an ideal day for hiking we committed to getting outside and getting it done. For that commitment we were more than adequately rewarded. What is keeping you from wandering? Get ouside. Find your reward. Living in Canada means we have to regularly deal with winter weather. It makes us resilient, tough, durable, and sometimes irritable. Normally we face large snowfalls with a sense of childlike adventure and with a sense of humor. February 13, 2017 called upon the biggest child in us and our funniest humor. It has been a large nor'easter that has so far dumped over 70cm of snow, oh and it is still snowing. I have shoveled out my driveway twice and will likely need to shovel it again before going to work tomorrow. I couldn't get to work today so I spent time with my family. This brings out an even bigger kid in me. We dug into a number of snowbanks and made forts. We played outside with the snow blowing hard around us. The drifts were over my 7 year old daughter's head in some places. We had a blast. As I returned to my shovelling, I couldn't believe how many people were out driving. A number of trucks went by and I couldn't help but think of a photo I saw on Facebook earlier. Due to the storm an ambulance went in the Dutch. The province has taken all plows off the road at noon so why and where would any one be travelling to on a day like to day? I hope everyone made their destinations. I write this mainly to remind myself of this epic storm later. It will be one to remember. Already they have cancelled school for the 2nd day in a row so it is looking like another child like day for me, even if I do have to go sampling. Winter is a tough time to stay motivated. Changing conditions and weather often give you an excuse to simply sit on the couch and watch the World Junior or eat the remaining M&Ms or take an extended nap. As our community mourns the loss of a person who never sat on the couch I couldn't sit and do nothing today. Ellen your smile and energy will be missed across the region and beyond. This MSRWhisperlite has been a long trusted piece of equipment for my brother and I. My brother and I took to the rugged hills around Waterford. It is an area we know fairly well but today we were heading into a piece of it we hadn't yet wandered. 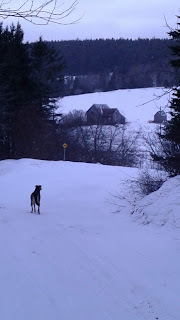 The high hills separating the upper reaches of Trout Creek from Parlee Brook conveniently have a road, Long Settlement Road, running across them and we would use this as our end point. The slopes were going to be steep and rugged. We were up for the challenge. We parked along the Walker Settlement Road and headed north down a stream we hiked before. In no time we were at a small waterfall which we took time to appreciate. Literally seconds later we came to a tributary which we followed up stream. This would be the unfamiliar area for us and we'd quickly discover that it was going to be tough and steeper than anticipated. A number of cross drainages made our progress even more difficult but they made the scenery spectacular. As we struggled up the snowy slopes we discussed the new season of "Alone" and whether or not we could complete such an adventure. We also talked about past hikes and how a slight change in direction can make them seem completely different or how the season's can drastically alter the challenges you face. 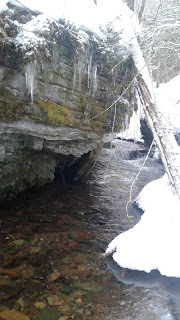 The snow and ice we were experiencing today altered our perception of the area we were currently in and made it entirely different from when we were there a few summers ago. We made lunch perched on a small bench along the stream. A steep, rocky, slope, was at our back and we sat for a bit in silence as we waited for our water to boil. We made some soup and some tea and gave my dog Bambi ample samples of the crackers which she seemed to prefer over her own food. I didn't really want to leave our idylic setting and push up the slope but my curiousity and drive to finish what I started pushed me up the slope. After our lunch the forest cover changed from mature softwoods to hardwoods and the snow changed with it. From the hard, shallow, and sometimes icy snow pack it became deeper and much more difficult to push through. We slightly regretted leaving our snowshoes in the truck but we managed to find our way through it. To make it more challenging the slope became steeper but again we put on our happy face and slugged through it. My brother and I enjoying lunch along a small unnamed stream. We reached the top of the small stream and now set our sights on a nearby pond which flowed the opposite way into Parlee Brook. Our path was now more downhill but we had to navigate through a spruce thicket, around the pond and then a wetland before we found the Long Settlement Road. Once we got to the road, which is a snowmobile trail this time of year, we hiked back to the Walker Settlement Road and to the truck. We spent roughly 4hours wandering through the woods and came out feeling refreshed and recharged. The hike was a little over 8km, including the road walk. Hikes like this give me a sense of calm and serenity that improve my social mood and attitude. It is this reason why my wife encourages me to wander on my own every now and then. From Whalen's Wanderings have a Happy New Year. May 2017 bring you lots of opportunity to wander and find your inner peace. Here is to the wind always being at your back, rest in peace Ellen. Tracks from various animals were present near this rock escarpment. This steep slide would be a great place to explore in the summer. The slide was likely more than 40m long. Bambi was leading the way as we returned to Walker Settlement Road. For many people December is a busy and festive time of year. As a christian I proudly celebrate Christmas and love the reason why we celebrate. The birth of Christ was, and still is, a huge even to put it lightly. It is played out across many communities across the globe. Now I don't claim to be well traveled or cultured so take this next statement for what it's worth. The best reiteration of Christ birth is done by the St. Mark's Church at their "Living Manger" and it is coming up December 18th. I have watched this event for the last 10 years. It has become a family tradition where my wife and I invite our family to park in our drive way and walk a couple hundred meters down the street to where they host the "Living Manger." Afterwards we all come back and have some hot chocolate as the kids play rambunctiously in the back bedrooms. The chill in the air, the smell of the tree mixed with slopped hot chocolate, laughter, and music, it is a family tradition where we put Christ at the center of our thoughts, where family is important, and where memories are made. Not only have I taken in this great event, I have also written about it here before. Check them out if you want to know more about the event. I encourage you to take it in December 18th with two showings in the early evening. I am pretty fortunate to be able to work at a job I love. It is different, not only every day, but every minute of that day. Just like maritime weather my job continuously offers up something new. 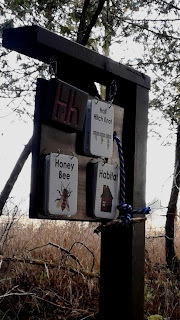 One project that we've been working on is an "Alphabet Ecology Trail" for a private school. It is a trail slash board game where the students can explore their relationship with nature. Using the letters of the alphabet and simple things found in nature we have developed a great learning experience. Watching the kids engage while hiking this trail was a true blessing as I witnessed my humble idea come to life and the expression on the kids faces was as rewarding as any salary or pay check. Getting ready to grab a water sample on the Kennebecasis. This morning I was standing in the middle of the Kennebecasis River collecting water samples as a light snow fell. The samples help identify threats or changes to the water quality of the river. That in turn will allow us to better address threats, changes, and pollution. If that isn't diverse enough, this afternoon I was writing proposals. In order to complete projects I have to successfully apply for funding. That means lots of proposals and writing. It also means that my success depends on my ability to put good proposals together. It leaves me with a strong sense of self dependence and I like that, however, it isn't for everyone as it can be stressful when the funds start to diminish. Working for a non-profit has many rewards, none of which is the salary. The idea of making a difference to the community you work and live in is an amazing opportunity. It is a concept that seems to be harder to find in communities now a days. In the Sussex area, where I live, it is common place though and those in the region should feel blessed to have as many volunteers and non-profit organizations working in their region. As a non-profit manager, the organization I work for contributes a good deal of money to the local economy and we prefer to keep our money in the local economy. I think most NPOs have the same ideal. I only make this statement as some people would like to discard the value of NPOs without truly understanding not only the economic value we provide to the community we serve but also the social and (in my case anyway) ecological values.